A heart-warming soup can be just as beneficial to our bodies as it is to our minds. Creamy and delicious, this nutritious vitamin C-packed recipe will take the chill out of the air and put a smile on your face! Biting into a freshly cooked burger is one of the most comforting memories of childhood. As adults, we can recreate this sensation in a healthy way, by adding a handful of ingredients such as chickpeas and avocado. In this recipe, meat is replaced with beans for a vegetarian option that is both sophisticated and tasty. Autumn comfort food should be fresh and exciting. 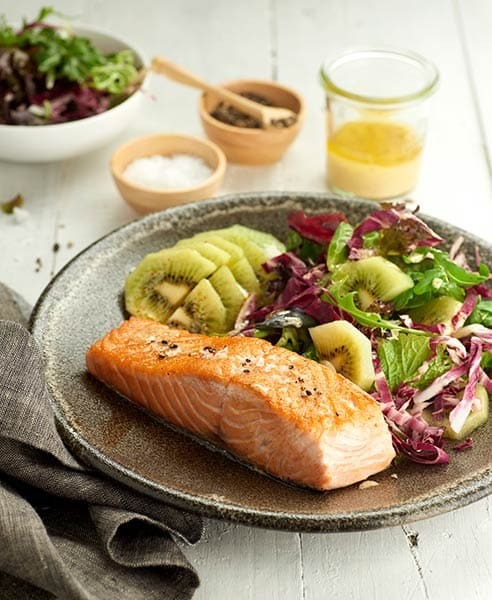 In this dish, Zespri Green kiwifruit combines beautifully with savoury flavours to create a meal that tastes delicious served hot or cold. If you have a sweet tooth, then you’ll want to satisfy it when the nights turn colder. But if you’re worried that comfort food can’t be nutritious, think again! 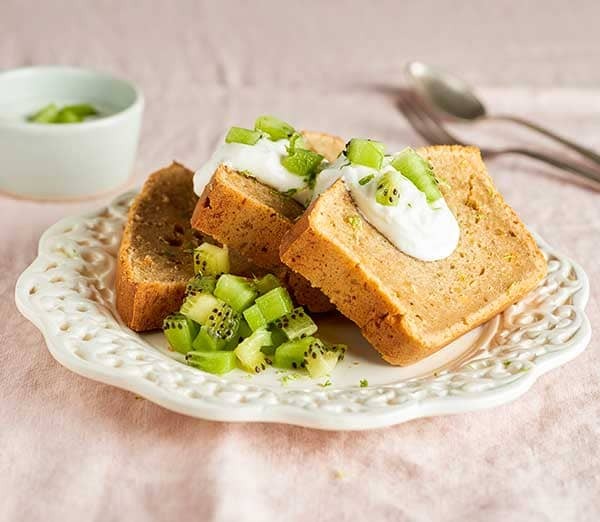 By substituting Zespri Green kiwifruit for unhealthy alternatives, you are left with a dessert that is high in taste and not high in calories. 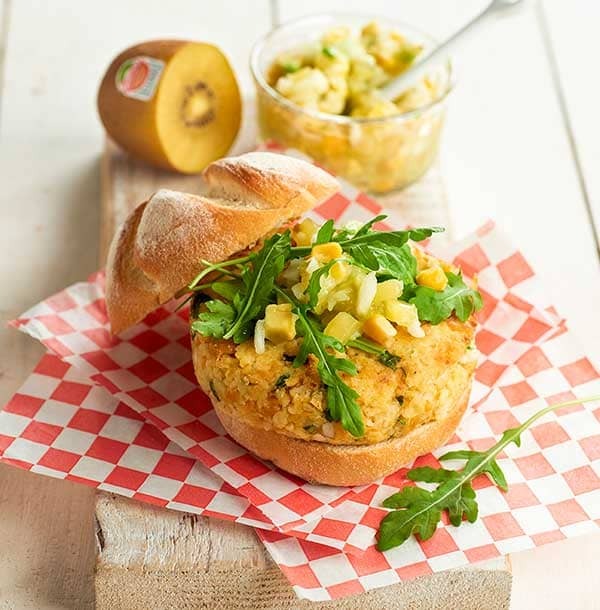 And finally for this week’s featured recipe! 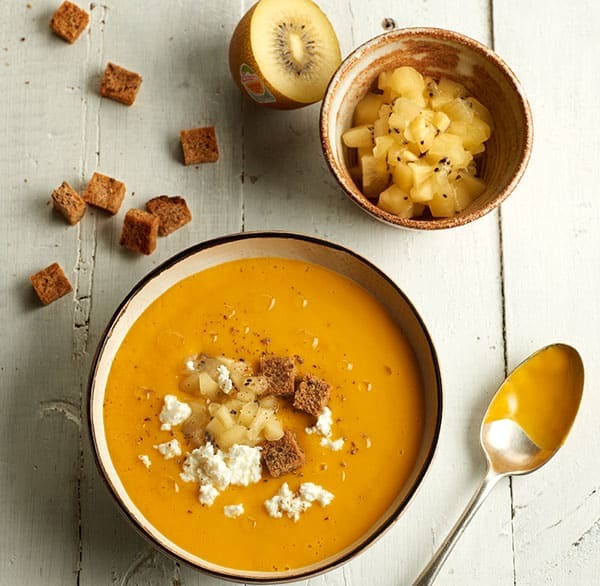 The great thing about soups is that they can be prepared in advance and kept in the fridge or freezer for when you need an instant boost of warmth. The smoky pepper and tomato flavours contrast perfectly with the tangy taste of kiwifruit – all the comfort you can fit in a bowl! 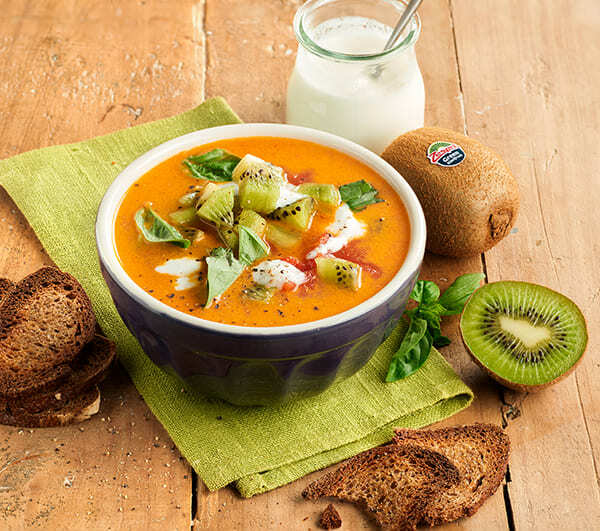 Autumn can be chilly so to warm yourself up, here’s our take on a smoky pepper & tomato soup with a kiwifruit garnish.